July 2014 will go down as one of the more exciting months for me professionally. After more than 2 years and a total of about 400 hours of planning, writing and editing, I am very excited to announce that my first book has been released through ASCD! 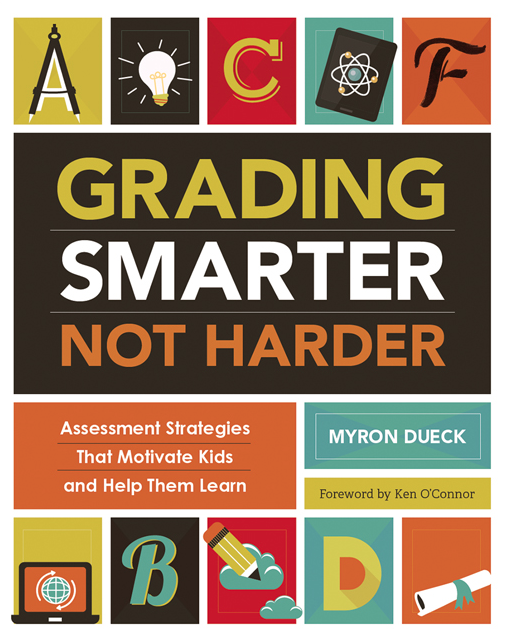 The book is currently available for order on the ASCD website. Click here for a direct link. In the upcoming weeks it will also be available through Amazon, Barnes & Noble and other retailers. There are so many people to thank in relation to this project, arguably no one more so than a teacher from Qatar. At the 2011 NESA Conference in Athens, Greece, I offered a session entitled, ‘What are We Supposed to do About Homework?’. Following the session this teacher approached me with her own unique concerns. She worked at a school in which the vast majority of the student population hailed from wealthily families. She feared that paid tutors were doing the lion’s share of the ‘student’ homework she was grading. As she put it, ‘of course many of the tutors are doing the homework, it is their job protection!’ The next day I flew from Athens to Montreal and for the entire 11-hour flight I wrote about homework, and this collection of thoughts eventually came to form the first draft chapter. In particular I owe much to Ken O’Connor (Author: 15 Fixes for Broken Grades) as he has been a constant source of ideas, direction and support during my foray into the realm of assessment and grading. The extent to which I am indebted to him increased greatly when he agreed to write the foreword to the book. Thanks Ken! Another exciting feature this month is that I will be doing my first webinar. 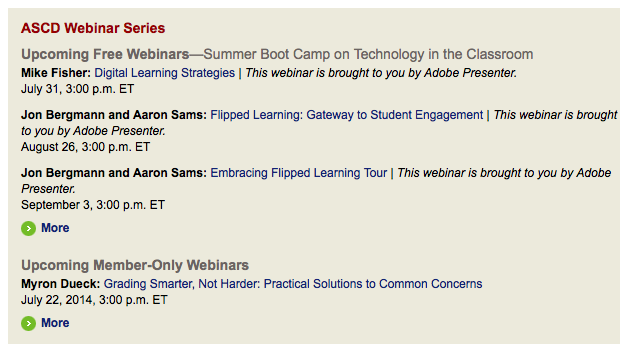 I encourage people who are ASCD members to join me for an ASCD webinar on July 22 at 3:00 PM ET. See the ASCD site for details or click here. 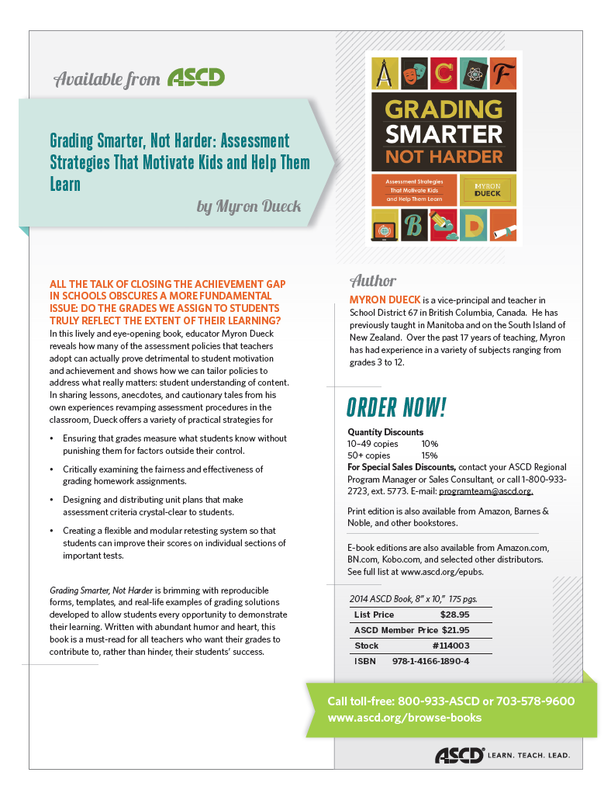 The people at ASCD have been incredibly helpful throughout this project and I am very grateful that they saw the potential in this book. To my readers, I welcome comments of all types from those who take the time to explore this book. Feel free to let me know your thoughts as we continue the conversation on how to encourage students to learn and how to effectively and accurately assess it. I’ve been waiting for this, Myron, for quite a while. When I heard you present — as a tag team with Tom Schimmer in 2007 — at the ATI Conference on Sound Grading Practices in Portland, Oregon, I knew that you not only “get it,” but that you would be an original and authentic voice on behalf of students in the movement toward excellent “classroom assessment for learning,” and “grading for learning” (acknowledgments to Rick Stiggins and Ken O’Connor). Your detailed stories about the successes your students enjoyed made me smile and appreciate your commitment to Princess Mary Margaret Middle School’s “new tradition” (per Principal Bill Bidlake). I’ll be looking for an autograph on my copy the next time I see you and I’ll recommend your book to all the educators and parents I know. Thanks so much, Hugh. I too remember your visit to our school so early on in the journey. It was incredibly…formative…to see that people actually traveled to other schools to talk about something like grading. You made the point early on that students are greatly impacted by HOW we do things in our classrooms and in the grade books that are meant to reflect them. Again, thanks. How do you account for the real world? If someone is late for work, screws up an assignment or otherwise fails miserably and they think back to school and says ” My teacher let me figure it out as I went along and it was okay not of meet deadlines and quality of work standards. That may be fine in your world but employers don’t want to be a training ground. Maybe I am old school where you showed up for work prepared, early and not making excuses as to why you could not do the job that day. First of all Bob, thanks for writing. In reading your post, there are parts of your argument that are not all that far off from mine. I, like you, want to instill some type of work ethic in youth. The work force has a lot of required elements that we would want to encourage and support. Showing up on time, being prepared and taking initiative and responsibility are very valued traits and are often rewarded in the workplace. Any type of positive behaviour would likely meet with my whole-hearted endorsement. Perhaps the appropriate question to ask is this: Do you think that assigning grades to these things will encourage the reluctant to oblige? My late form is an attempt to get an honest answer from students about why something is late, and to attempt to rectify the situation with an applicable response. The response would ideally be a CONSEQUENCE that is effective in deterring the behaviour. I have worked in a feed mill, as a lawns keeper, for UPS, and eventually as both a teacher and an administrator. In each of my occupations I have arrived late to work and I was never fired. I was not chronically late mind you, and that may have saved my status as one of the dutifully employed. That said however, I did work along side people who were notoriously late – some of them have been my teacher colleagues. I can recall a worker at the feed mill who was regularly late, but he was very good at what he did. The company did not fire him, as he was good at everything he did, other than his ability to show up on time. In fact, he eventually went on to manage the establishment, and did a good job! Back to teachers, I do not know if your school is the same, but I find that a certain cohort of teachers is predictably late handing in marks, report cards and award nominations – regardless of how often they are reminded. Are they fired? Nope. I see teachers sometimes try to emulate the ‘real world’ and one of my least favourite manifestations is that grades often act as a currency, but the ‘paid’ aspect to grades is arguably tied to students being quite unmotivated to attaining them – See Daniel Pink’s book ‘Drive’. Increasingly universities, colleges, and tech schools are asking for more than just GPAs or grade standings. Yes transcripts are still important, but so are the letters and recommendations from school staff. This is a welcomed development for me because it opens the door for us to measure variety of things, AND maintain the legitimacy of the grades we assign measuring the learning outcomes established by our educational authorities. Thankfully I can report that a student scored very well on the History learning outcomes, but separately report that he is rude, notoriously late and is unlikely to work well with others. In my Leadership class however, some of these traits may impact his grade as ‘working with others’ IS a learning outcome. My central argument is that many students simply do not care about the grading penalties levied, and if we do use them, then our grades are compromised – a classic ‘double-whammy’. Bob, I think we both want students who are prepared to function effectively in society and I think that being a person who is fair, responsible and honest is the way to go and will serve the individual well in whatever occupation he/she might choose – would you agree? I think we have a duty to teach the valuable life skills you mentioned. How often have you wondered about a student’s negative behaviours only to stop wondering once the parent(s) arrive at parent-teacher interviews. Many students are clearly NOT being taught at home to be responsible, on time, to clean up, etc… Perhaps this is in the hands of us educators. If it is, I do not think that we will enforce any type of responsibility with our most at-risk students by using zeros and late deductions…do you??? IF, and I truly mean IF these types of penalties worked according to my CARE guidelines (pg 6 of my book) I would never have been compelled to write my article on Penalties (March 2014 EL) or the segments of my book that relate to it. A few years ago I stopped giving zeros for work that was missing and stopped taking off deductions for work that was late and instead implemented behavioural consequences (homework room, stay in at lunch, stay in after school, etc…). I also implemented a policy that a grade was INCOMPLETE until all elements of the course were completed. I was shocked at the reaction from my students – they asked me for zeros! In a few cases they pleaded. Clearly my old mantra of zeros as a deterrent was not all that effective – hence the CARE guidelines. When I took off grades for late work, I found I was constantly deducting for the same students and that the final results of their grades were convoluted. I have children in school right now, and as a parent I want them to benefit from a grading system that measures what needs to be measured and one that supports behaviours that are positive.